I feel it’s important start this review off by stating that Honor and Duty is a budget WWII shooter released out of VR in 2016 with no intention of being ported over to VR. I’m not trying to make excuses for the product as it stands today, but rather set the stage what is going to be a bumpy review. Upon its initial launch, Honor and Duty got dragged through the mud with a host of issues that have been addressed since then, but I honestly don’t care about how this game plays on a television, so let’s see how the full game plays after being brought to VR. 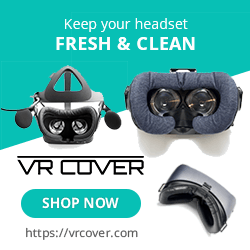 In VR, there are 2 control options, DS4 and Aim which is the superior way to play. DS4 plays like Farpoint in that the game tracks the controllers position in the real world and matching that movement to the gun in game. It works if that’s all you have, but if you have the Aim controller, it’s the best way to play. With your gun in front of you and in your hands, it’s so easy to blast away enemies like an 80’s action star. 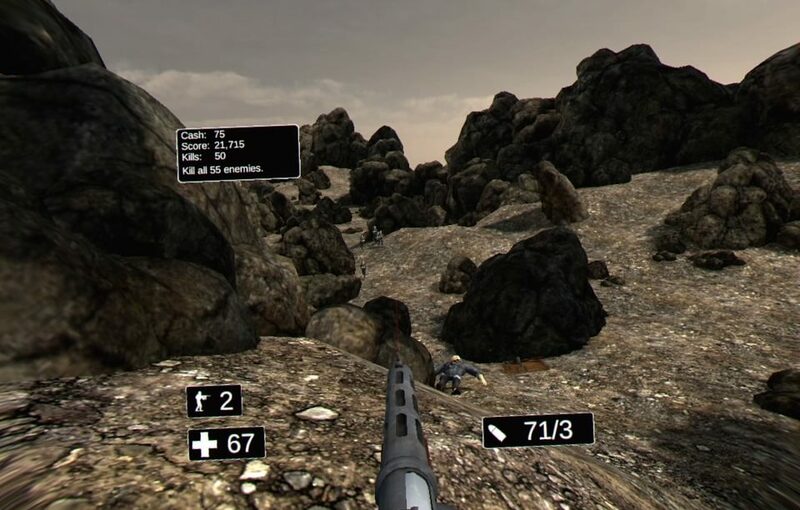 Reloading is handled by either pressing the reload button or by expending your ammo whereupon auto reload kicks in. It’s a little ridiculous just how easy the game is with this new tracked movement, but I can’t deny that for a short while, it was blast being a one-man army. Depending upon which of the single player missions you are on, you have the additional option of using buildings to heal and spawn troops as well as supply you with additional weapon options, all by spending the currency earned in game with each kill. At supply boxes you can swap your guns, provided you have enough money, are the right character class for a specific weapon and the minimum rank to unlock that gun. Increasing your rank just involves killing guys in single or multiplayer and it doesn’t take too long to earn yourself some new badges. The games visuals benefit from VR in a few ways, mainly due to the lower resolution of the headsets. The 4 character classes/models look like they were made for a shooter from around 2 decades ago, but the lower poly models allow for a lot of AI opponents on screen and while they do lack a lot of detail, I can accept that sacrifice for improved online performance. The stages fare better and at times are on par with that we have seen in other budget FPS games. When the games plays on flat terrain, it is very noticeably flat and buildings also don’t carry to much in the way of detail giving these stages a very sterile and cheap look to them, but when the levels have rocky paths to traverse at varying heights, the visuals seemingly improve quite a lot. The guns you carry appear a bit large in VR, but are rendered quite nicely and look decent. Occasionally you may be armed with a knife or pistol, which creates a disconnect with Aim controller in your hand, but it’s very rare when I needed to use those backup weapons. I encountered some visual glitches in multiplayer I’ll cover below, but for the most part, the graphics may not be the prettiest we have seen, but they work. On the audio side, there isn’t too much to cheer or jeer at. It fits with the action taking place which is really all I could ask for in game like this. So, now for the gameplay. The single player components comprise of 40 levels/waves over 4 different stages. The first just throws you in a canyon and throws more and more enemies at you with each progressive wave. Health packs are scattered around as are ammo and gun drops and after each wave is completed, you are given some time to collect these resources. 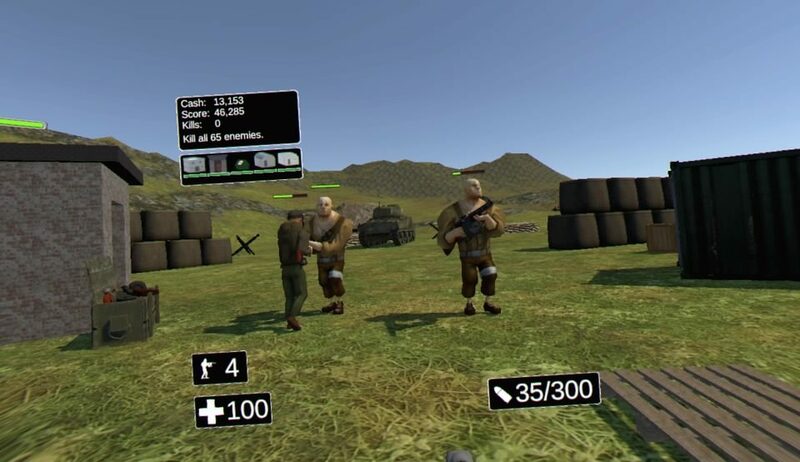 The AI here is pretty basic, they will run at you or past you with blind ignorance making it very easy to mow down hordes of enemies in front of you while one sneaks off to your side, just out of view. Enemy bullet accuracy is very high to counter the lacking AI though the tracked control methods allow for short work of your opponents, regardless their accuracy. Your spawned AI allies typically die within seconds of next wave’s onset so their presences is barely felt. The following stages changes things up a bit by placing you in a military base which you must now defend. A few different buildings are added after a few waves and can be used to unlock weapons for purchase, spawn AI troops to assist in the defense or heal you should you be near the medic tent. Besides the weapon unlocks, the rest of these options are way less important given just how easy it is to dispatch the Nazi horde and how many health packs are lying around but these minor additions, should you use them, add a little depth to this shooter. On the multiplayer side, things get a little more dicey. Teams spawn near the supply boxes and must than venture around 1 of 3 maps in search of the enemy. It’s up to 5 on 5 action, which is great, though finding full matches can be tough at times and I typically averaged 3 on 3. There is also no in-game mic support, so if you plan on playing this regularly, it may be best to party up outside the game for a more team based effort. On occasion, when someone is firing at you, their character may not be facing you which has been remedied somewhat in a recent patch, though I still found it to occur quite a bit. Spawn camping still occurs, even after a recent update to remedy it, though it is much less rampant than on launch day and some level design issues had me getting stuck on the environment, forcing me to retrace my steps to unstick myself, though I quickly learned to avoid this problem by staying away from walls and barriers. Still, when everything is working like it should, it’s quite fun, and while nowhere near Call of Duty level, I still enjoyed playing through a match or 2 before signing off. Honor and Duty deserves to be commended for what they are bringing to the PSVR and while this does still have a few issues, it’s also modestly priced. The dev does seem to be active with patches and updates both after its initial launch and VR update so hopefully some fine tuning takes place to make this experience a little more fluid. 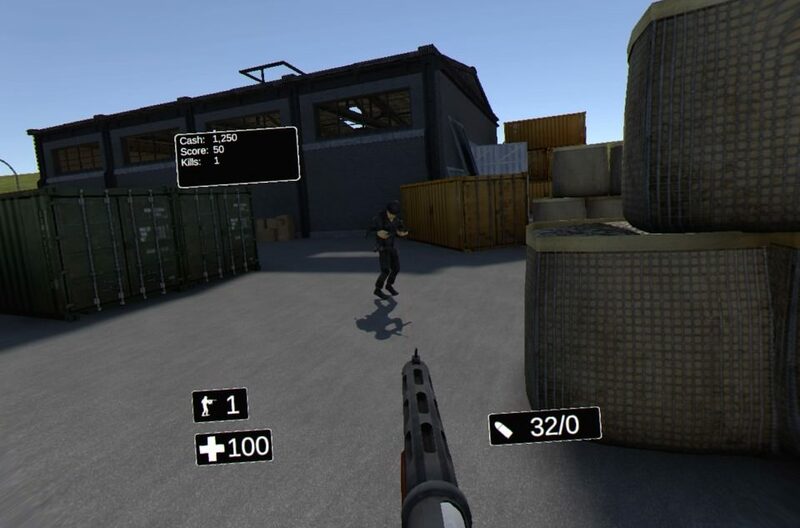 If you are looking for an online competitive VR shooter, this will probably scratch that itch, though be warned, it’s not the most polished game around. What would I pay? I’m totally fine with the $7.99 asking price, even if just for the single player content. The 5 on 5 multiplayer, though simple when compared to other shooters, is still great fun! Strange Games Studios provided The VR Grid with a review code for this title and, regardless of this review, we thank them for that! Thank you for the great review. Found it very comprehensive and it helped me decide to buy the game. Currently it can be had for less than $2 we have PlayStation Plus, so I’m in. Thank you again.